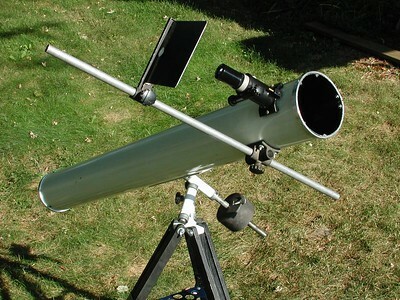 Light and small, easy to take on a trip this is a very nice size instrument to own. 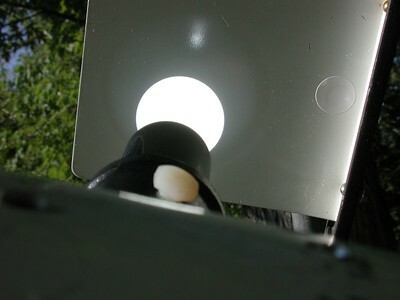 Sure, there isn't a lot of light grasp here but there are a number of advantages.Cool down time is as little as 10 to 15 minuets with as miuch as a 50 degree tempeture diffrence! 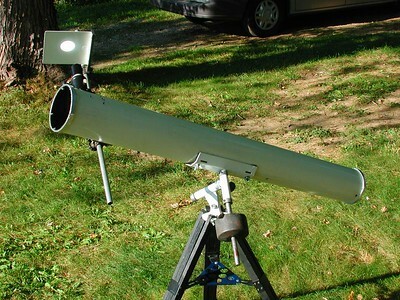 That means you can pull your little scope out of a 70 degree house and observe in 20 degree weather within almost no time flat! 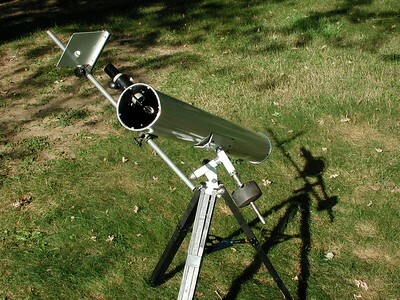 Here is one of my 4.25 inch reflecting telescopes. 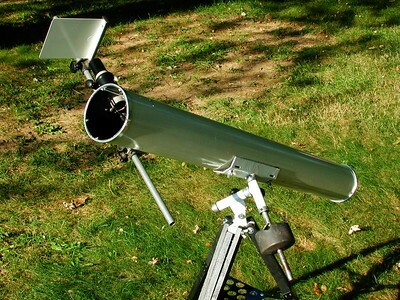 This telescope has a sun projecting screen attached to the side of the tube. 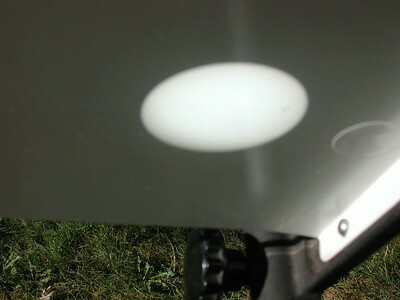 You can observe the sun with out the worry of loosing your sight because the intense solar image is projected onto the screen. The projected image is quite safe then to look at. 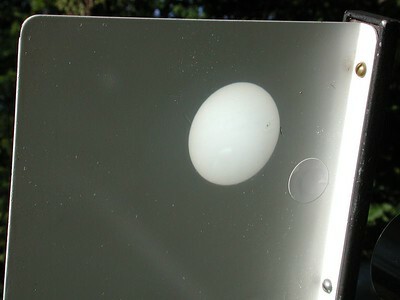 Looking at a projected image of the sun on the screen. 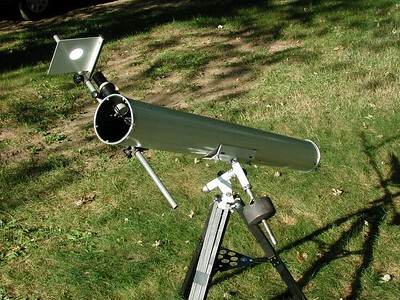 We are looking at the sun's image projected onto a sun projector screen of a small reflecting telescope. 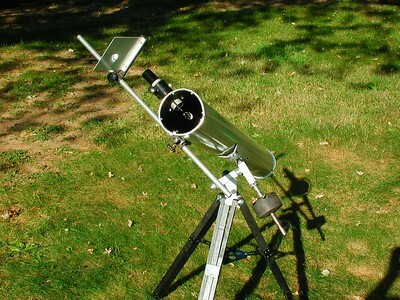 Here we are focusing the telescope to get a sharp image of the sun on the screen. 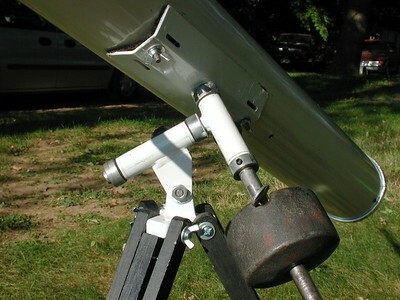 As we focus we look for the sharpest disk we can. 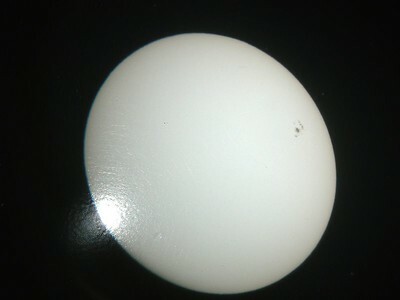 In this image we are assured sharp focus because the edge of the suns disk is wll defined and I can see some dark spots on the right side of the disk, as shown in this image. 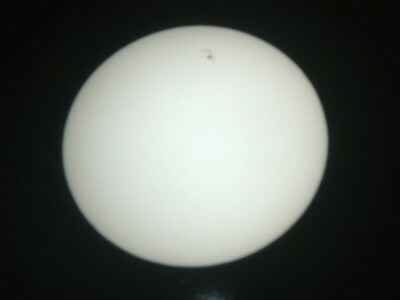 Sun spots move accross the sun's surface and are often but not always present. 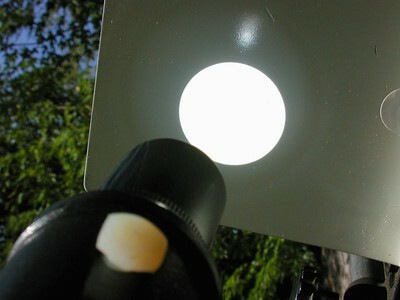 Be sure when using this sun projection viewing method to carefully focus and hopefully you can see sun spots too! 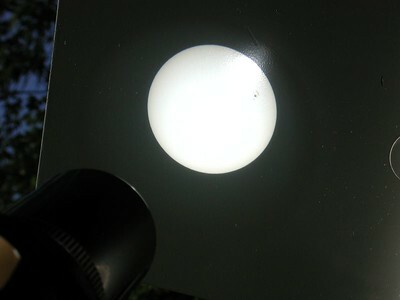 .... as you can see here the image of the sun is being projected safely onto the screen. 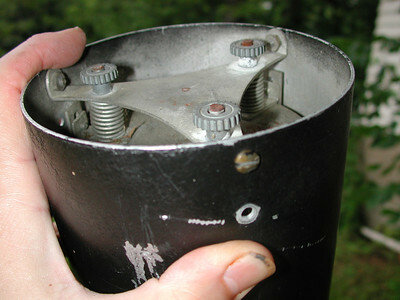 The screen has 2 sides. 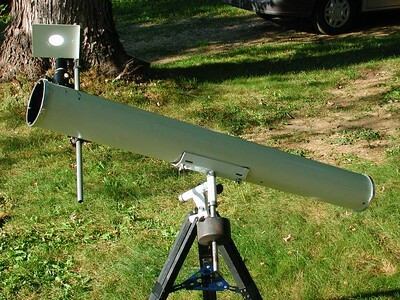 A white side and a black side. 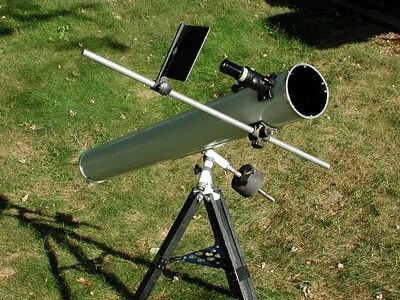 Choose what ever side you wish to view the sun on. 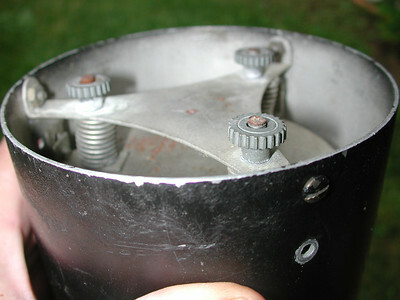 Here the white side is presented. Flip the screen around for the black side. Neat !! 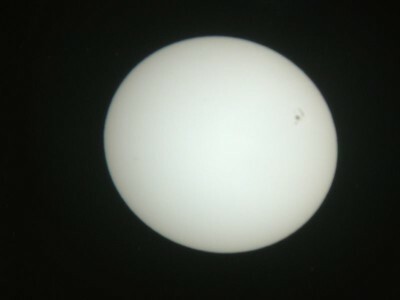 Using the "black" screen we can see a contrastly sun image complete with sunspots! The image here is slightly out of focus. 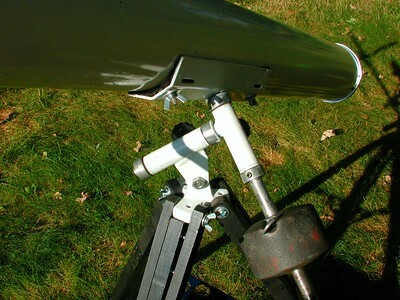 Simply moves the telescopes focuser in and out to get a sharp image. 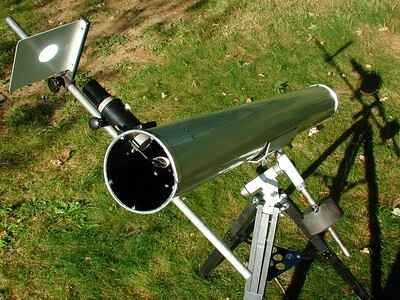 You can also try to focus by moving the sun screen closer and futher away from the telescopes eyepiece. 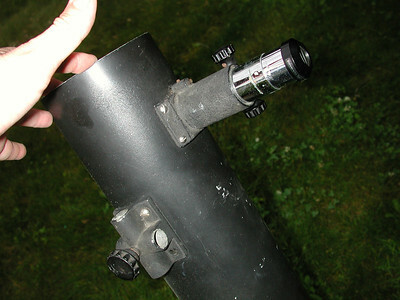 Also note - try to use a simple Ramsden or equilvant 2 elelment eyepiece, to avoid possible heat issues within an expensive cemented eyepiece. In this case best is not better! 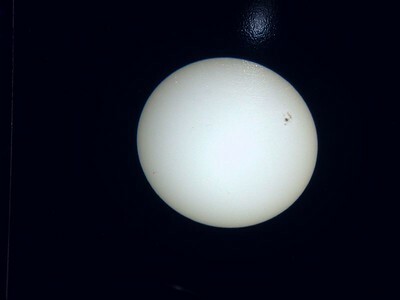 I held a simple digital camera to the projection screen to take these pictures. 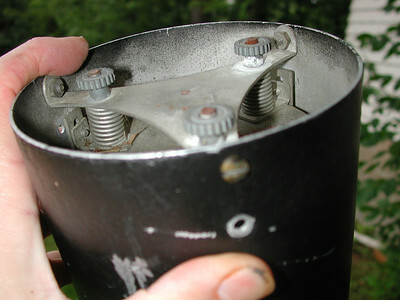 Since it is almost impossible to be right on top of the subject the image looks slightly oblong and not round. 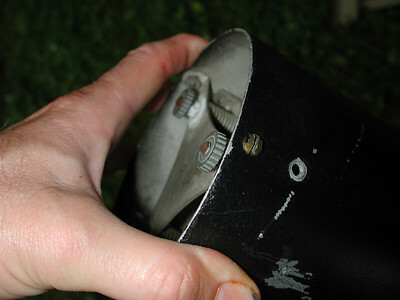 Some flare is visible due to the cameras angle. 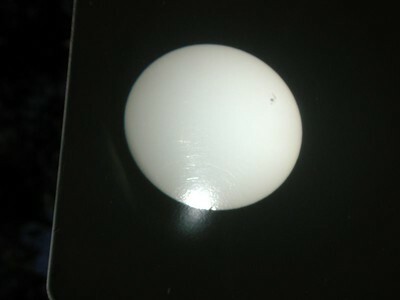 The white screen side of the sun projecting arttachment, and the projected disk of the sun. 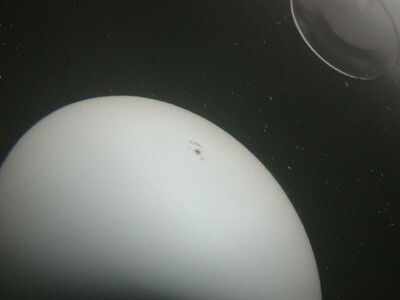 Close up of the ptojected sun image.